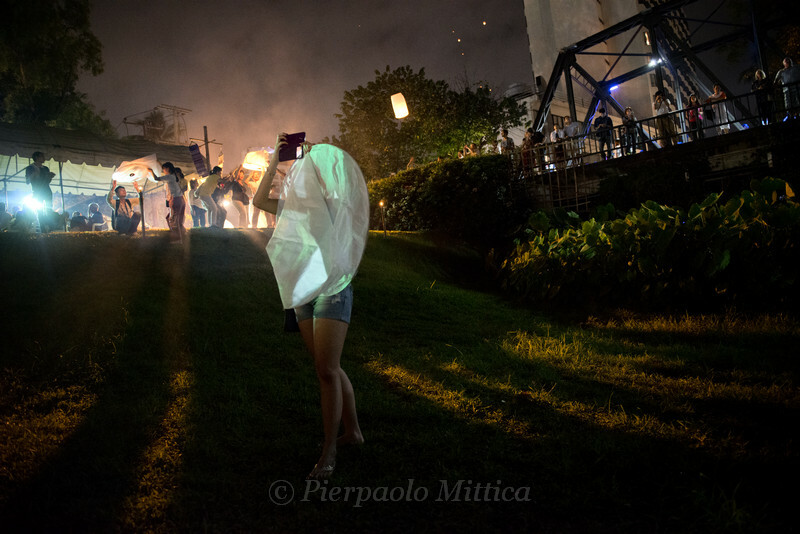 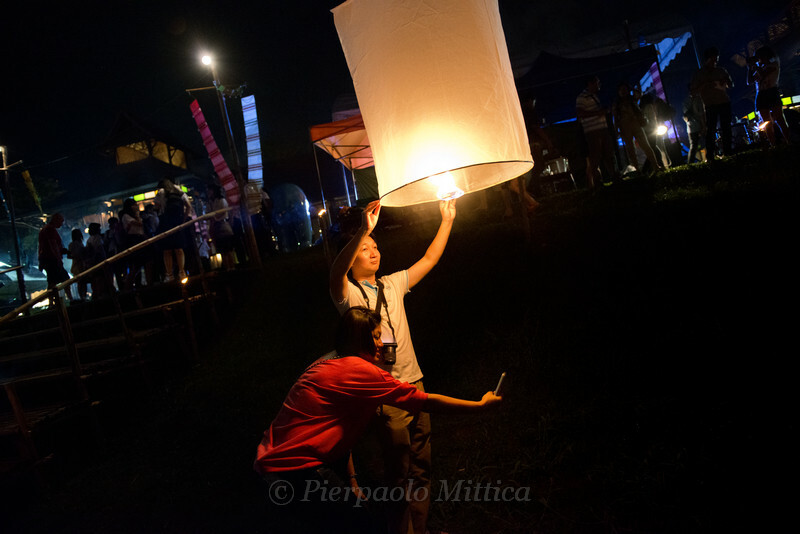 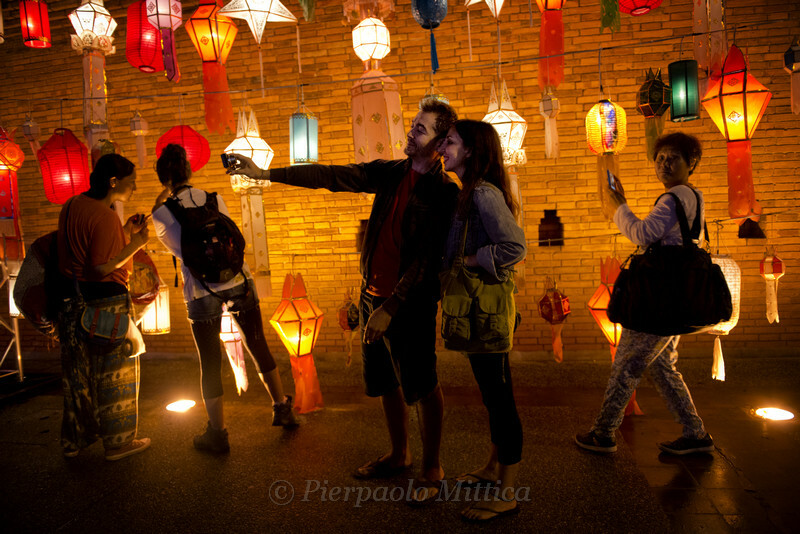 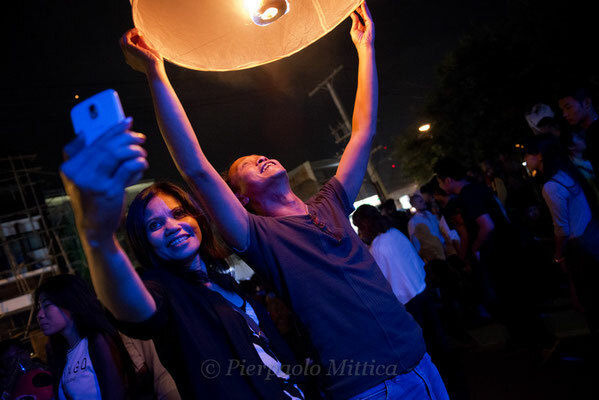 The most well-known place for Loi Kratong is Chiang Mai in Thailand. 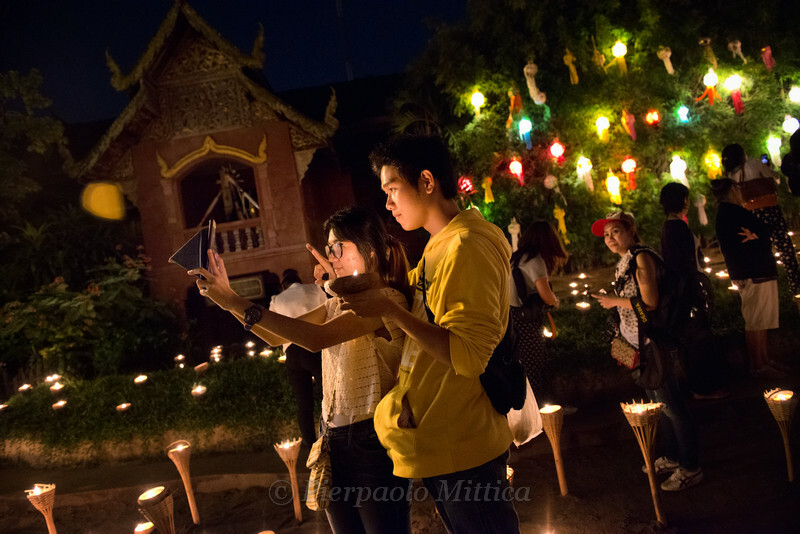 This Buddhist celebration in the years lost its spiritual aspect becoming more and more a commercial and tourist festival. now there is nothing left of the spiritual both for the huge invasion of tourists and how is also celebrated by the local people: a big commercial fair. 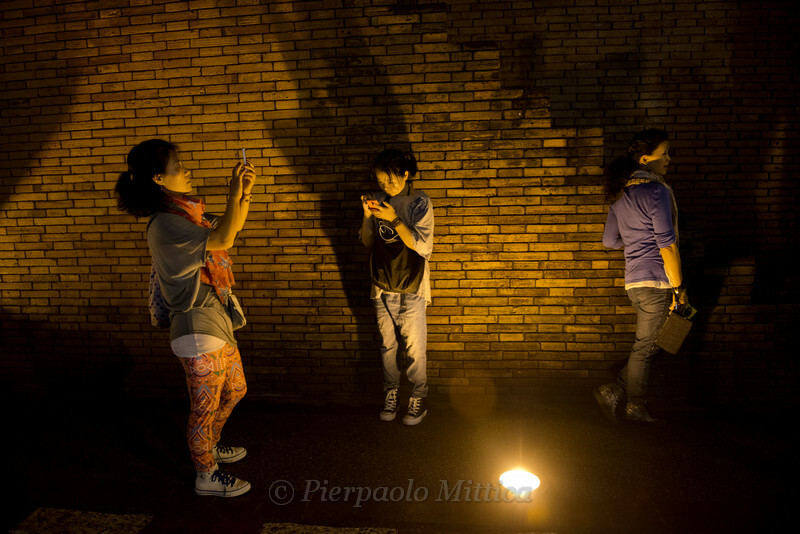 In the “selfie era” people are more attentive to themselves that to what is happening around them. 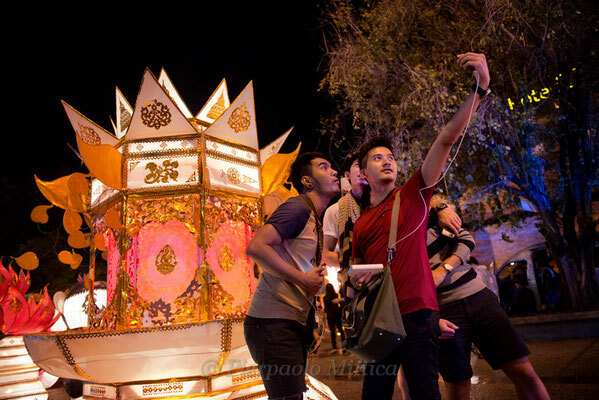 And also during this festival people spend more time to photograph themselves instead of enjoy the show and the spiritual aspects of the festival. 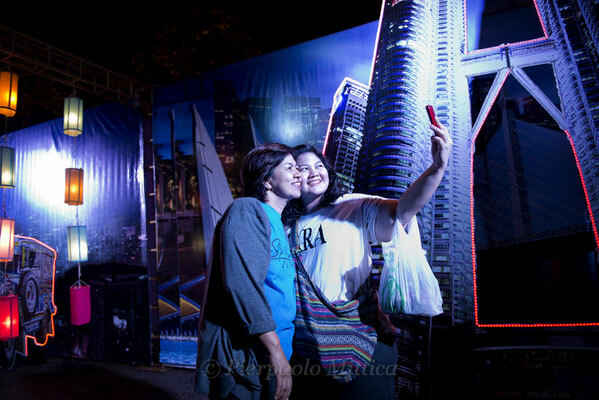 Today the Selfie is simply a way to have a memory of your participation to an event or is becoming a mirror of our society where the individual becomes more and more self-centered and individualistic? 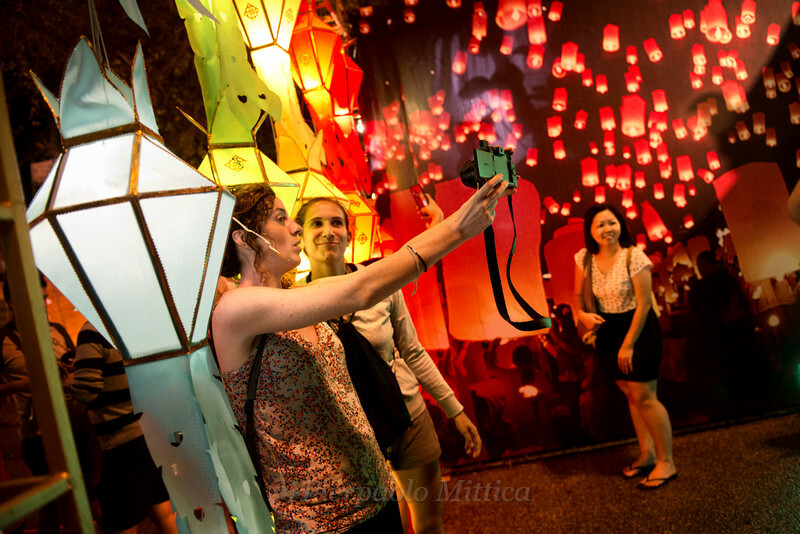 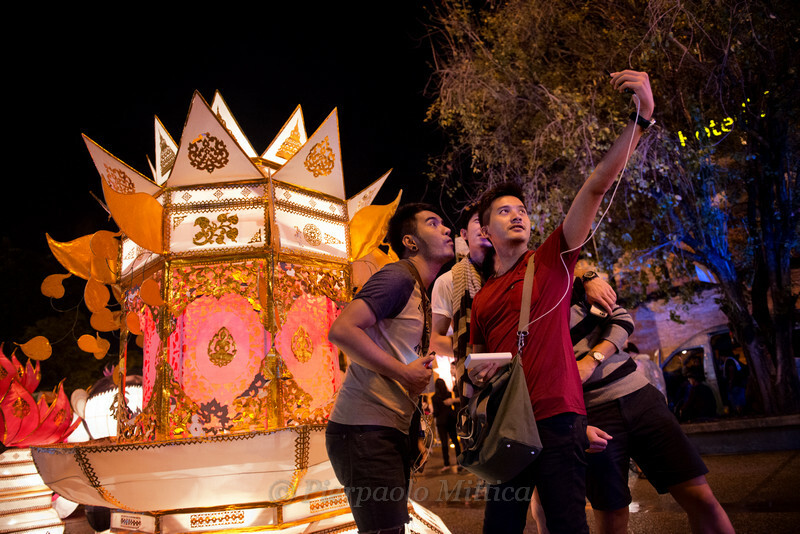 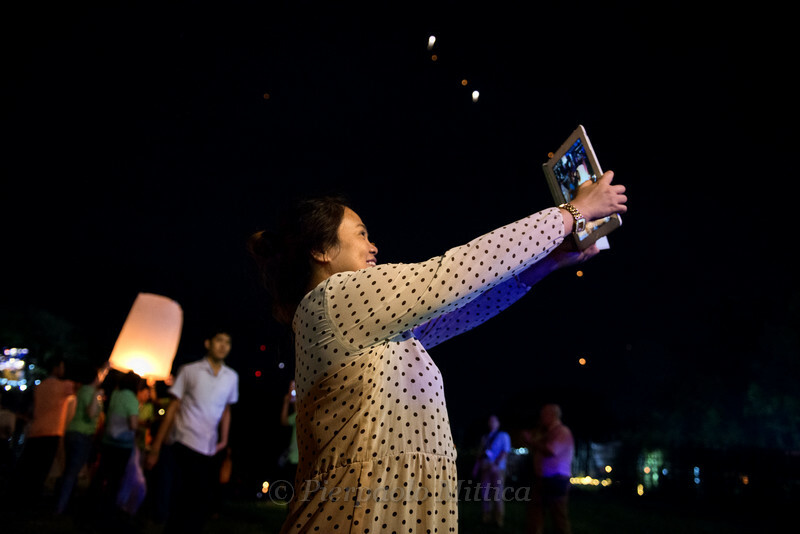 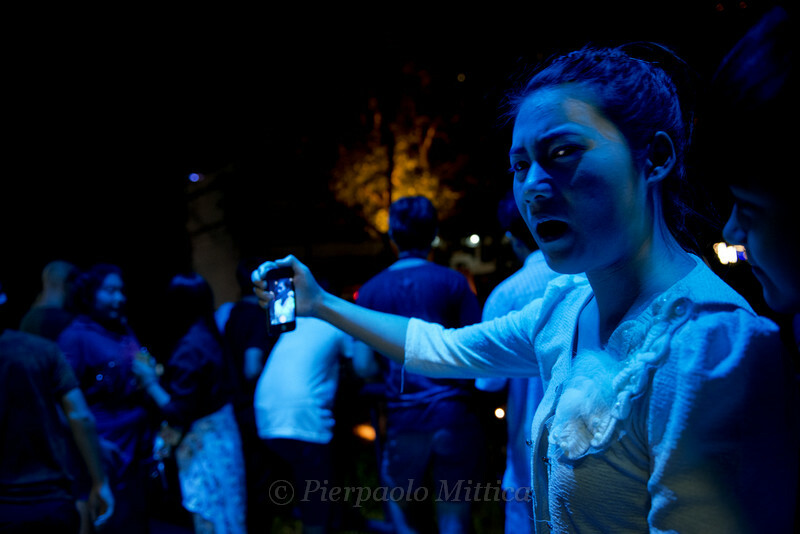 Surely the Loi Kratong festival has become the festival of Selfie.